Drag Specialties is an industry-leading supplier of aftermarket parts and accessories for Harley-Davidson® motorcycles. With over 40 years experience they pride themselves on providing their customers with the widest selection of the newest products from the hottest brands. All delivered with superior service. 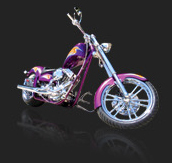 Super Cycles is Australia’s largest stockist of Drag Specialties parts and accessories.